SKU: EIN24. Category: Kutch Collection. Tags: India, Kutch, Rabari embroidery, Thank you gifts, traditional handicraft, vintage, hand embroidered, tribal. 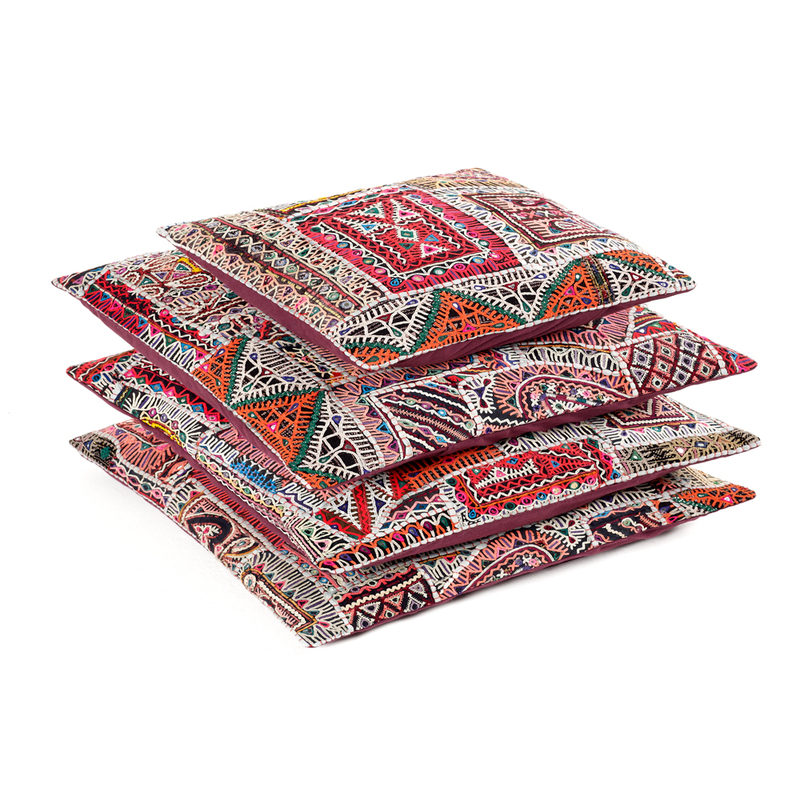 A striking, hand embroidered, cushion featuring traditional Rabari embroidery in a palette of pinks, reds and orange. The Rabaris are pastoral nomads living in western India. The embroidery techniques have been handed down from mother to daughter over generations and they are known for their distinctive motifs, stitches and use of colour. Scroll over the image to see the design in more detail. 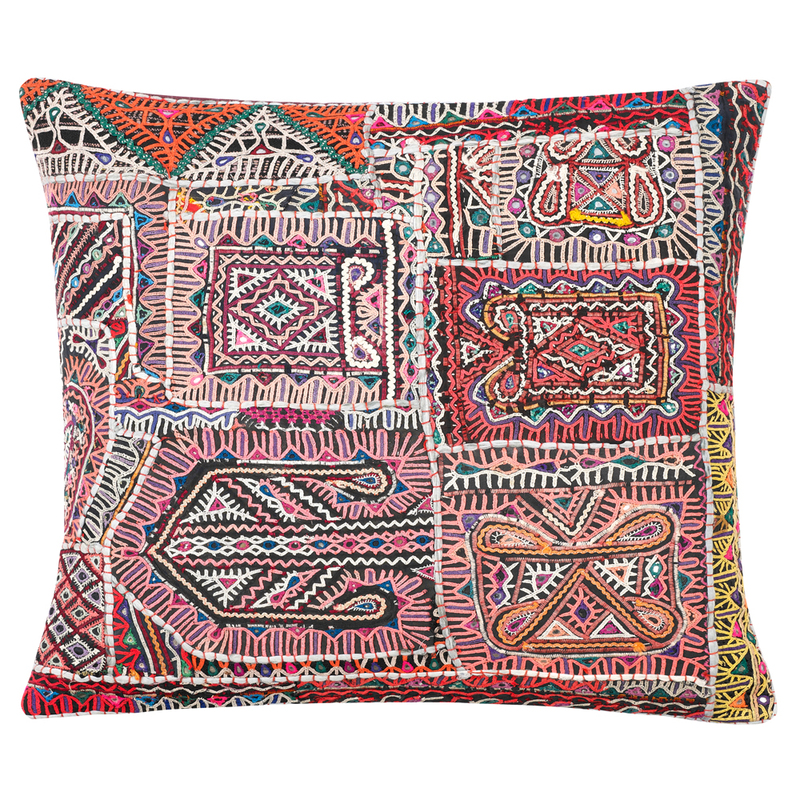 This hand-embroidered vintage cushion cover looks good on its own or teamed with other Rabari designs in our Kutch collection like Advika, Devia and Talika.